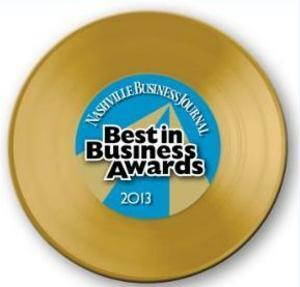 Southwestern has been recognized by the Nashville Business Journal at the 19th Annual Best in Business Awards as the 2013 winner in the large company category (501+ employees). Each year, the Best in Business Awards program spotlights some of the most dynamic and unique companies throughout the entire Middle Tennessee region that are able to maintain an accelerated growth pattern and leave their distinct mark on communities. 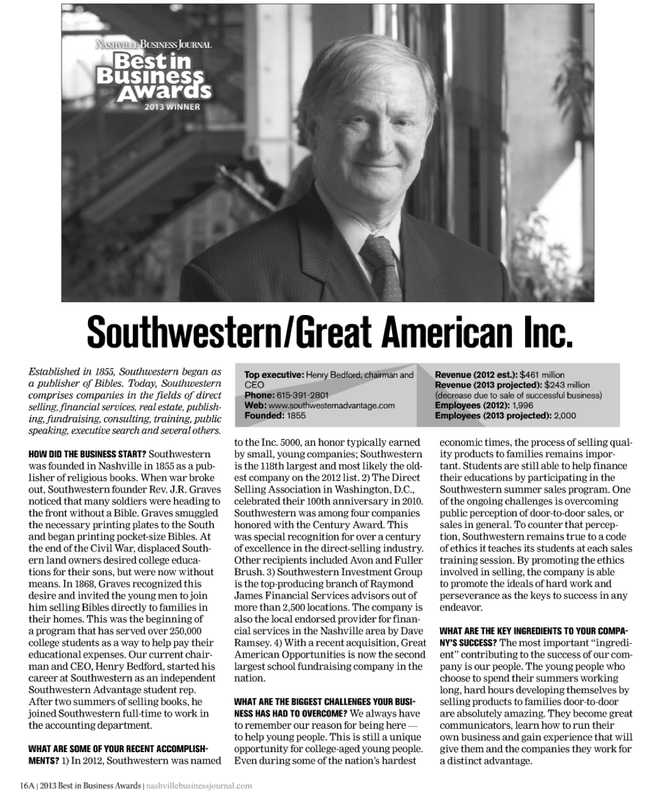 This is the second time Southwestern has won Best in Business in the past eight years (2006 win). The companies nominated are narrowed down by a judging panel who then meet with the CEO and conduct interviews regarding the company’s performance, philosophies, community involvement, and business track record. “We are very honored to be recognized by the Nashville Business Journal as the 2013 Best in Business winner in the large company category. All of the companies that make up our corporate family have one thing in common – great people. Our essential business philosophy is that we build people and these people build our businesses. 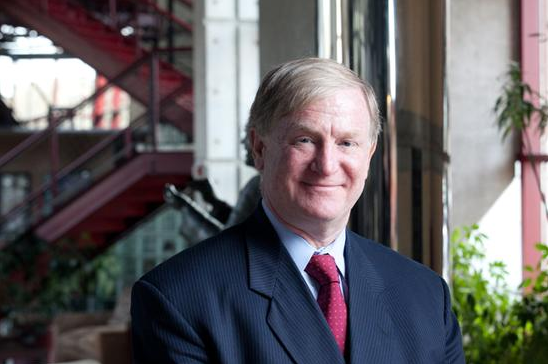 To be recognized with such a prestigious award speaks volumes about our companies and the people who build them,” said Chairman and CEO Henry Bedford, during his acceptance of the award on behalf of all 13 companies that make up Southwestern. "The most important “ingredient” contributing to the success of our company is our people. The young people who choose to spend their summer working long, hard hours developing themselves by selling [educational] products to families... are absolutely amazing. They become great communicators, learn how to run their own business and gain experience that will give them and the companies they work for a distinct advantage." NBJ's announcement of winners can be found here.